Hijackers destroyed the Twin Towers on Sept. 11, 2001, by flying fully loaded 767 passenger jets into the skyscrapers. 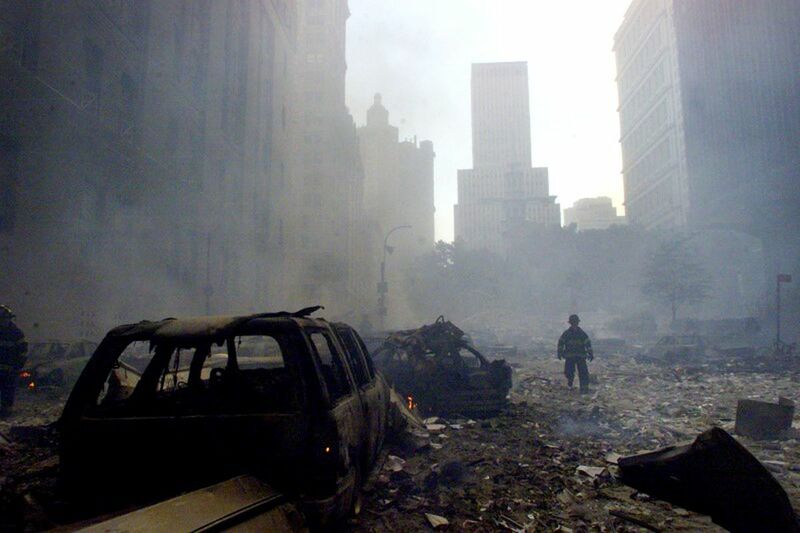 A third building in the World Trade Center complex also caught fire and collapsed later that day, though it was not struck by a hijacked jet. Sixteen years have passed and the nation continues to struggle with the violent legacy and repercussions of the attacks, while, in a pattern reminiscent of the Kennedy assassination, claims about conspiracies and cover-ups continue. For each allegation, however, there is a ready counterclaim from official and unofficial sources. On Monday, a dissident "truther" group that claims there was a 9/11 cover-up plans to use a study by the University of Alaska Fairbanks engineering department to announce its latest effort to show that a federal report about the "building collapses is false and that it is incumbent upon Congress to launch its own investigation." The group is Architects and Engineers for 9/11 Truth, founded by Richard Gage, a San Francisco architect who has traveled the world for years saying the government has hidden "evidence of controlled demolition, particularly with the third high rise that collapsed on that day in the afternoon of 9/11, World Trade Center 7." "Normal office fires have never brought down a skyscraper ever before," Gage said in a C-SPAN appearance in 2014, claiming the building fell the way it did in a matter of seconds because explosives had been placed inside to make that happen. The UAF study and the attempt to get a bill introduced in Congress for an investigation will help propel the "next phase of AE911 Truther Activism," according to Gage's group. He now claims that because the UAF study offers good reason to doubt the official story about the collapse of No. 7 (the third building), there is plenty of reason to doubt the official story about the fall of the Twin Towers. It requires a gigantic leap to use a study about No. 7 to justify the idea he has promoted for years — that explosives brought down the Twin Towers. A writer in Architect Magazine alleged in 2012 that Gage is a full-time conspiracy theorist who "tries to maintain a façade of being a scientist asking scientific questions." His group funded a two-year, $316,000 study led by UAF engineering professor Leroy Hulsey, who used computer modeling to examine No. 7 and how its steel and concrete elements would respond to fires. Hulsey, chairman of the civil and environmental engineering department, concluded the building could not have collapsed from fire alone, which contradicts a three-year study by the National Institute of Standards and Technology, an agency of the U.S. Commerce Department. The 47-story building caught fire because of debris from the North Tower, which was 370 feet away. No. 7 burned for about seven hours before it collapsed in a pancake-like fashion at about 5:20 p.m. The National Institute of Standards and Technology said the fires inside WTC 7 caused it to fall apart because heat weakened the components. "In fact, we have shown for the first time that fire can induce a progressive collapse," Shyam Sunder, lead investigator for NIST, said in a 2009 video. "The heat from the uncontrolled fires caused steel floor beams and girders to thermally expand, leading to a chain of events that caused a key structural column to fail. The failure of this structural column then initiated a fire-induced progressive collapse of the entire building," NIST said in its 2008 report. Hulsey contends there was zero chance of that claim being correct, based on computer modeling of how much the girders and columns in the 610-foot-high building would expand under heat. But unlike Gage, Hulsey has declined to say what he thinks caused the building to fall. In an appearance at UAF on Wednesday, he said he is not ready to offer an opinion on that question and that science alone should determine the answer. "Our study shows that fire was not the cause," he said. "Now, I'm not going to tell you what did it." He said he is still working on that aspect of the investigation. But Gage is far more aggressive about how to use the UAF findings. His group said that "we will use his report as a vehicle both to intensify our pressure on Congress to open a new investigation and to finally hold NIST accountable for its fraudulent account of the WTC destruction." Columnist Dermot Cole can be reached at dermot@alaskadispatch.com. Former ADN columnist Dermot Cole is a longtime reporter, editor and author.